The first time I heard of lemon eucalyptus oil I thought someone had blended lemon oil with eucalyptus oil. Seems logical, right? Wrong! It’s an actual tree that grows in tropical climates. The oil is extracted from the leaves. Not at all what I first thought. Now there are some great repellant qualities to this beautiful oil. Lemon eucalyptus has been shown to be very effective in repelling mosquitos and deer ticks! Great for those who spend their time camping or up north in the summers. Now you can get the protection you want without the harmful deet chemicals. Though it doesn’t last as long as those harmful chemicals at least you won’t smell like a buy spray. And plus now you’ll smell more citrus (kinda like a citronella candle) rather than like a chemical. There are other uses rumored for uses of LEmon Eucalyptus oil but more research is being done on their effectiveness. But for right now it is considered the most effective repellent for mosquitos. I know I would much rather use a natural essential oil than a harmful chemical on my family to keep them safe. But how do you turn an oil into a homemade mosquito repellent? One simple way is to add it to coconut oil and lather it on. Then reapply every so often. Simple? There are more complex ways if you want to turn it into a spray but I much prefer to mix with the coconut oil so I can make small batches and use it as I need it. 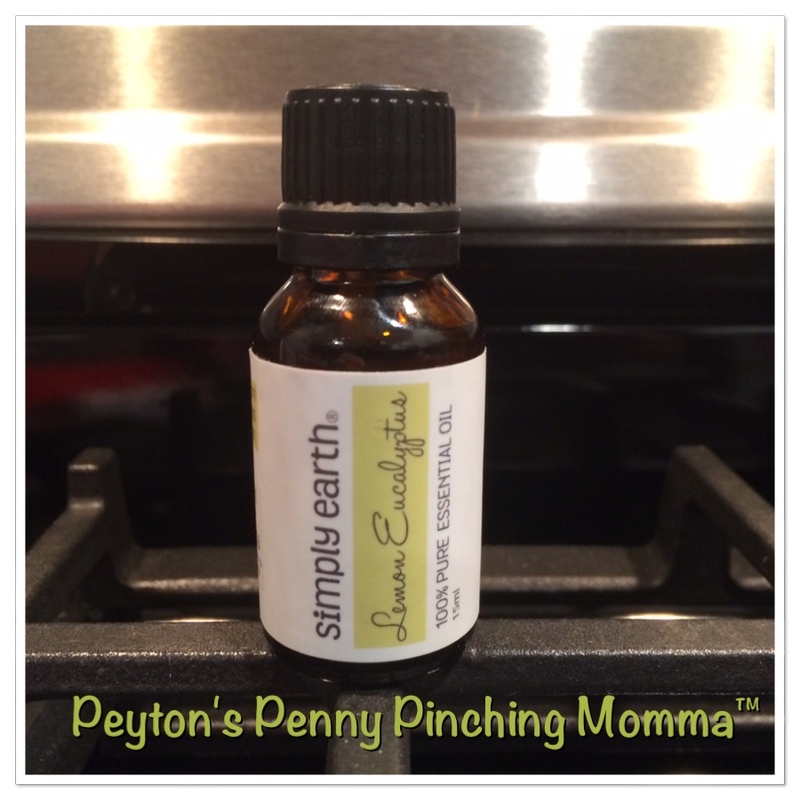 Simply Earth makes high quality essential oils and one of them is Lemon Eucalyptus. I love how Simply Earth uses 15 mL bottles compared to the 10 mL bottles, 13% of every sale they give back to charitable organizations, it’s affordable and it’s a high quality product. You can purchase Lemon Eucalyptus essential oil as well as many more online.